Successfully Added USB Heated Gloves and Hand Warmer for Women to your Shopping Cart. Powered by a simple plug-and-play USB connection, this USB Heated Gloves and Hand Warmer is the easiest way to keep your hands and fingers warm during those cold days and nights. 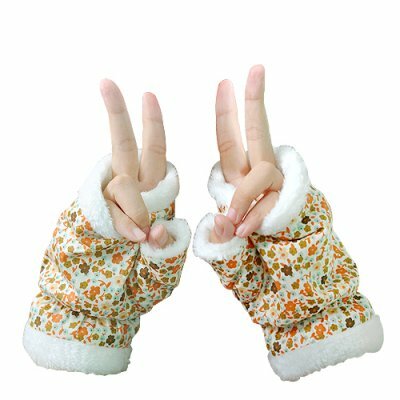 The gloves are made of high quality sailcloth and coral fleece and even contains a heating membrane inside to keep you warm and typing away, while improving blood circulation. Cold days are coming and whether you're gaming online, emailing your pen-pal, or typing away at that final paper, this USB Heated Gloves and Hand Warmer is for you. These gloves also make the perfect gift as they are completely safe, easy to use, and most importantly, it lets others know you care. Available in our warehouse now, order your samples today and we'll express ship them out tomorrow. Once you see how well it works, order a few more in bulk as a gift (or for your online store) and get extra discount savings. Brought to you by Chinavasion, the leader in wholesale electronics.